As a private dietitian, Sally takes a holistic, sustainable approach to coach her clients. She examines her clients’ health history, medical conditions, medications, body weight and composition, as well as diet history to determine the best treatment plans for them. She tailors unique meal plans that suit their metabolic rate, nutritional requirements, eating habits and lifestyle. She sees it as her mission to provide nutrition services that are not only bespoke but also innovative. She firmly believes that foods should be enjoyable, diets should be sustainable, and real food in balanced amounts is the best way to optimal health. That is why many clients who approached her with a goal for weight loss are surprised to see that in their journey to wellness with Sally, they acquire the means to resolve their health problems and to keep good health. Sally is a Registered Dietitian who graduated from the University of Sydney, Australia with a Master of Nutrition & Dietetics. She is passionate about helping people to achieve optimal health through a food-based approach, in which she incorporates research-based findings to promote healthy living and eating. Sally’s food-based concepts have been featured extensively in local and overseas newspapers, magazines, radio, and television. She has also been invited to speak at professional conferences organised by the Federation of Medical Societies of Hong Kong, Hong Kong College of Paediatricians, Hong Kong Nutrition Association, Macau General Practitioners Association, Hong Kong Association of Nursing Staff and Hong Kong Association of Gerontology. As well as seeing clients privately, Sally is now a part-time dietitian at Hong Kong Bariatric and Metabolic Institute and Maggie’s Cancer Caring Centre, a freelance dietitian at China Coast Community, as well as an affiliate dietetic consultant at ADEC Medical Alliance and Sacred Heart Oncologists Cancer Centre. She is currently the Chairman of Hong Kong Practising Dietitians Union and a committee member of the Child Nutrition Advisory Group. 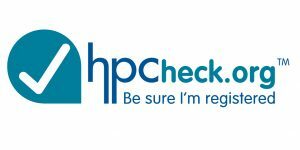 You can check Sally’s registration status online at Health & Care Professionals Council or Dietitians Association of Australia. 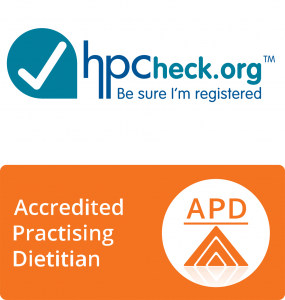 Sally specialises in weight management, type II diabetes, bariatric surgery, and cancer nutrition. She also provides medical nutrition therapy for a wide range of medical conditions such as hypertension, hyperlipidaemia, geriatric nutrition, renal diseases, fatty liver, gout, irritable bowel syndrome, sports nutrition, eating disorders, child nutrition (overweight children and picky eating) and women’s health (pregnancy and lactation, gestational diabetes and polycystic ovary syndrome). Sally is experienced in working with a wide variety of groups and populations. See below for some more detail about the projects she has been involved in. During her stay in London in 2009, Sally led the MEND (Mind, Exercise, Nutrition and Do it!) Program conducted for overweight children aged between 7 and 13. This program aimed to tackle the issue of overweight children in the local community by educating children and their families about healthy eating, cooking and lifestyle. In 2010 to 2012, she founded The Kids Kitchen English Playgroup at Yang Memorial Methodist Social Service in Hong Kong, which was successful in helping toddlers and pre-schoolers overcome picky eating habits. Sally also has a musical background and in 2012, she produced a nutrition song called Smart Eater (有營人) to promote healthy eating among young children. TVB Hong Kong picked up her song and played it on their popular children’s program called “Afterschool ICU” in 2013. Sally has also recently published a children’s recipe book called Kids Recipes by Dietitians (孩子不偏食－3至8歲兒童食譜). This book was developed in conjunction with two of her colleagues with the aim to promote healthy cooking and eating habits among children. During 2013 and 2014, Sally continued her work with children by developing the school menus for the Salvation Army Preschool Education Services & Kindergarten. In conjunction with this, she delivered a series of nutrition workshops for students and their families to encourage continued healthy eating at home. In addition, Sally has regularly been invited to deliver the Nutri-Add Family Program jointly organised by St. James’ Settlement People’s Food Bank in 2012, 2014 and 2015. This program aims to enhance the nutritional knowledge of the underprivileged and to raise awareness about the importance of maintaining a balanced diet. Sally is also experienced in community dietetic services. She worked for Oasis Nursing Home between 2010 and 2015 and has been working for China Coast Community since mid-2017. In this role, she conducts malnutrition screening, prescribes diet plans for all the residents (including those on tube feeding regimens), develops the nursing home menu and provides training to staff. Between 2011 and 2015, Sally has also worked closely with the general out-patient clinics in Kowloon East in a program coordinated by United Christian Hospital for chronic illness risk assessment and management. Under this program, Sally provides dietetic consultations for out-patients with type II diabetes, hypertension and weight problems including where there are secondary complications such as chronic renal failure. Sally is regularly invited to deliver cancer nutrition talks and workshops in the community organised by the Cancer Patient Resource Centers, Hong Kong Cancer Fund, and Cancer Information. Sally has been leading a healthy eating program at the Maggie’s Cancer Caring Centre since April 2018. She also made contributions to a few cancer-related publications in Hong Kong. In 2013, Sally was invited by the Nethersole School of Nursing, the Chinese University of Hong Kong to deliver nutrition workshops for adults with intellectual disabilities who were working in the sheltered workshops of the Hong Chi Association. Since the conclusion of this project participants have demonstrated a significant improvement in their knowledge about obesity and healthy eating. Sally also participates in nutrition-related voluntary services in her spare time. 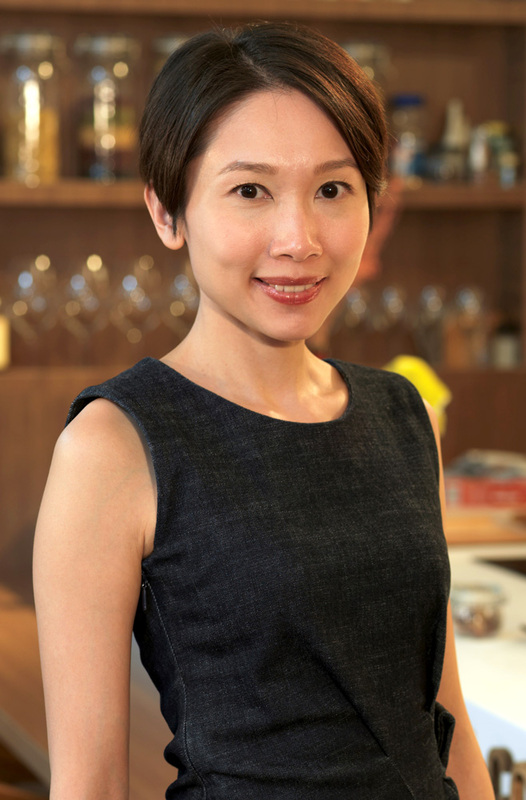 In 2015, she contributed a healthy recipe to the third Feeding Hong Kong Recipe Collection “Fast Food”. This charity plays an important role in empowering its beneficiaries with cooking and nutrition knowledge in an effort to help eradicate hunger in Hong Kong.